Nicole Scherzinger of The Pussycat Dolls throws a peace sign to the cameras with one hand and shows off her Moonman with the other. Britney Spears and her moonman for Best Female Video, Best Pop Video and Video Of The Year. 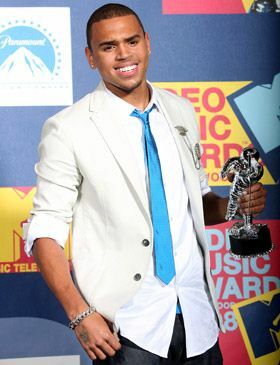 Chris Brown thinks about buying a metallic silver tie to match his sparkling Moonman. 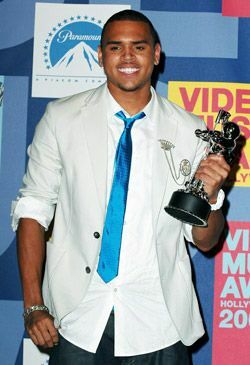 Chris Brown keeps a tight grip on his newly won Moonman. 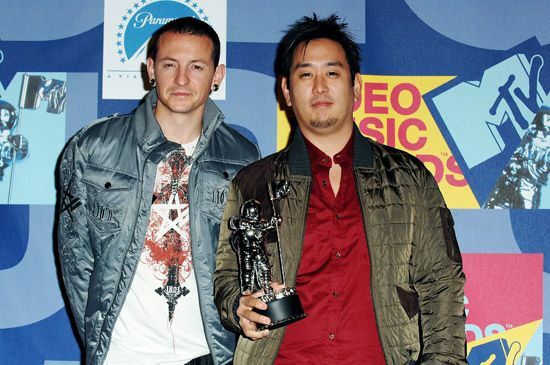 His 'With You' won for Best Male Video at the 2008 VMAs. 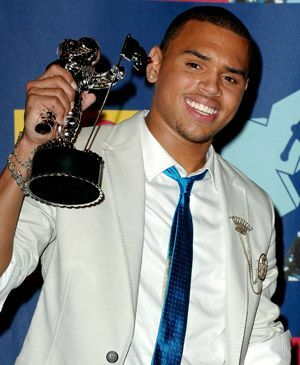 Chris Brown whispers the lyrics of his VMA-winning single, 'With You,' into his Moonman's tiny, silver ear. 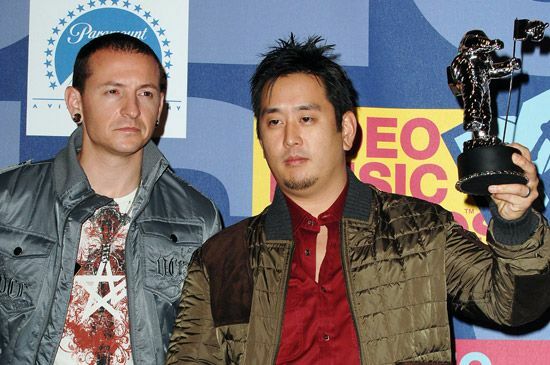 Best Rock Video-winners Linkin Park show the crowd their best guess of what face their Moonman is making under his helmet. 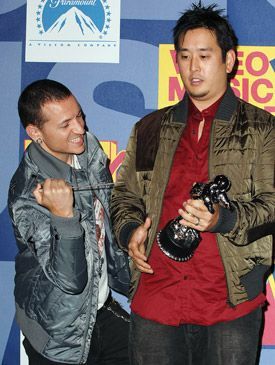 The Moonman lifts the 'Shadow Of The Day' from Linkin Park's shoulders after they win for Best Rock Video. Nicole Scherzinger of The Pussycat Dolls checks 'Moonman' off of her list of things she wants when she grows up. 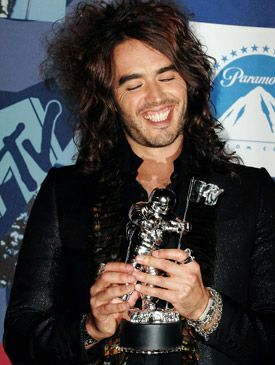 VMA host Russell Brand marvels at the Moonman's waving flag. 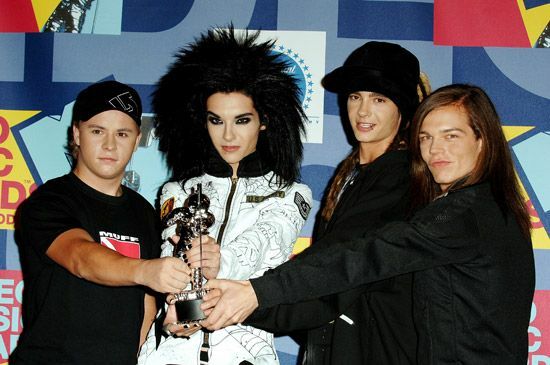 Tokio Hotel and the moonman for Best New Artist. The Moonman glows from the attention he gets from all five Pussycat Dolls after their 'When I Grow Up' wins Best Dancing In A Video. The Pussycat Dolls hoist the Moonman they won for Best Dancing in their 'When I Grow Up' video. The Pussycat Dolls display their Best Dance Moonman on a pedestal of fancy fingers. 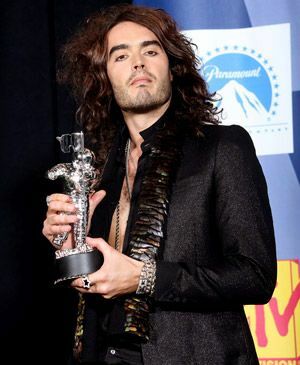 VMA host Russell Brand may not have technically won a VMA, but, hey, wait a minute, after all those jokes he told, maybe we should make him wash his hands before handling our Moonman! 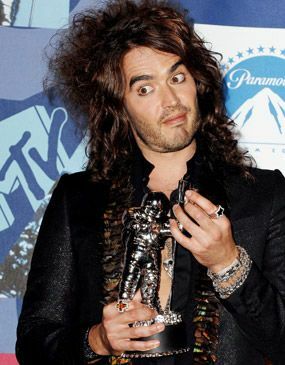 Russell Brand and the moonman. Although they could never fit their rock 'n roll haircuts under a Moonman helmet, members of Tokio Hotel are proud to add the little silver guy to the band.